If this is the case, you can make an application to a Canadian visa office or visa application center in your country or region. Once the application has been reviewed, a decision will be made regarding whether or not you will be rehabilitated and therefore have your criminal inadmissibility removed. 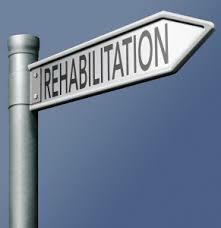 To be deemed rehabilitated, you can assess it yourself or ask a visa office to do it for you. If you know that you are eligible to be deemed rehabilitated, you can make your case at a port of entry. If you wish to choose a safer method, you can make an application for rehabilitation, asking for information only. This will not cost you, and once an officer reviews your file, they will instruct you on what to from there. If you wish for more information regarding your criminal inadmissibility, at Akrami & Associates, our legal professionals can assist you. Call us today to find out more.